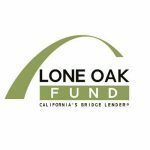 Lone Oak Fund, LLC is a direct portfolio lender capitalized at one billion dollars. They have been in business since 2003. Their rates start at 7.90%. They can lend up to 60% LTV and can close loans within a week. They have been rated 5 stars based on 1 Yelp review. Work For Lone Oak Fund, LLC? Claim This Page.